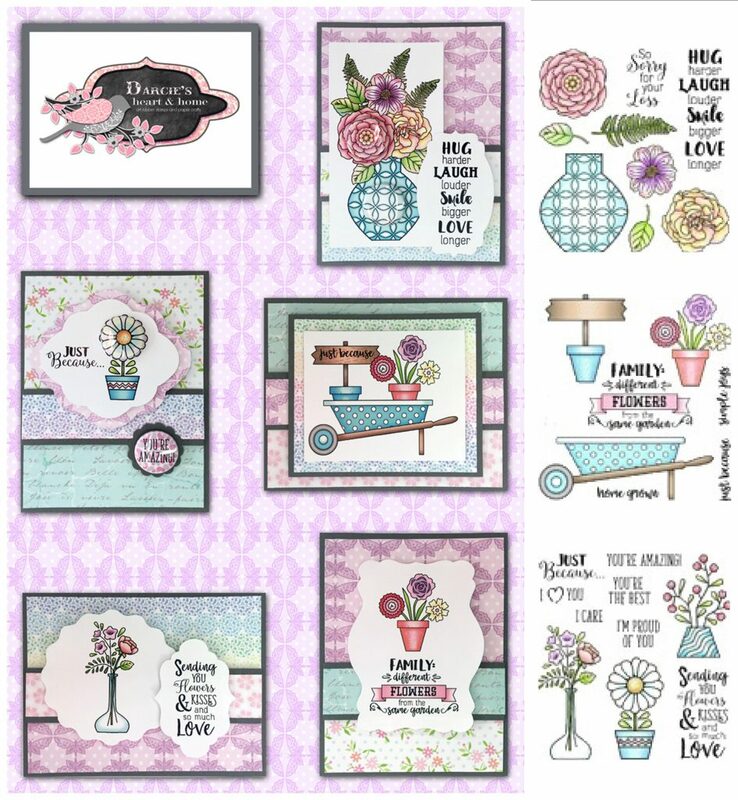 NEW Darcie’s Heart & Home Stamps! Brand new super stinkin’ CUTE stamp sets and darling tin pins from Darcie’s Heart & Home have just arrived! 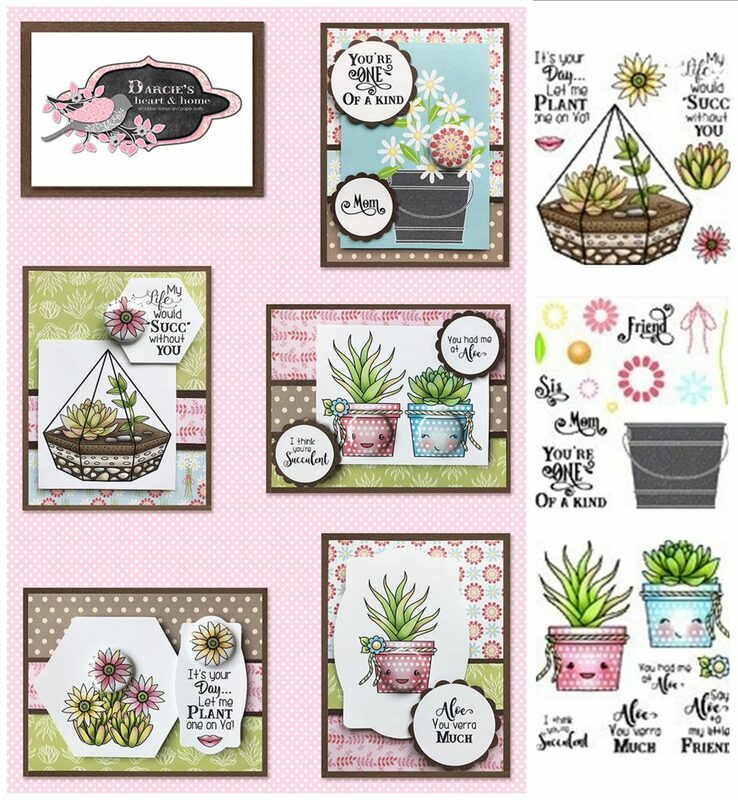 The first board features some adorable succulents and flowers. 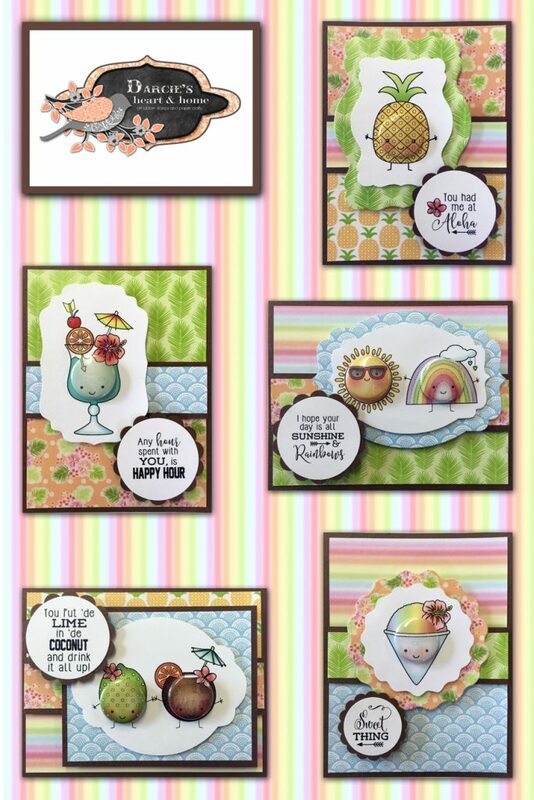 We love the punny sentiments these sets come with… and especially “Say Aloe to my little friend!” Watch our quick close up video here… then scroll down for more! Well done, smarty pants. This board is all about the Dads, the Grads & thanking the Teachers for being so amazing. 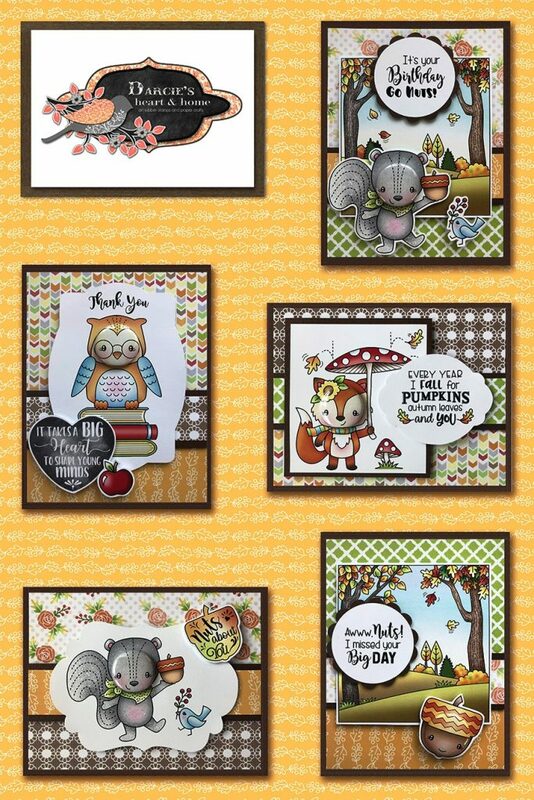 Sweet little foxes & owls, popsicles, the BEAVER, and just look at those FISH… there is so much to LOVE in this release! Watch our quick close up video right here Darcie’s stamps come in high quality red rubber and clear acrylic, with available coordinating tin pins. These are a one time order, so when they’re gone, they’re gone, come see them all in the shoppe before they sell out! 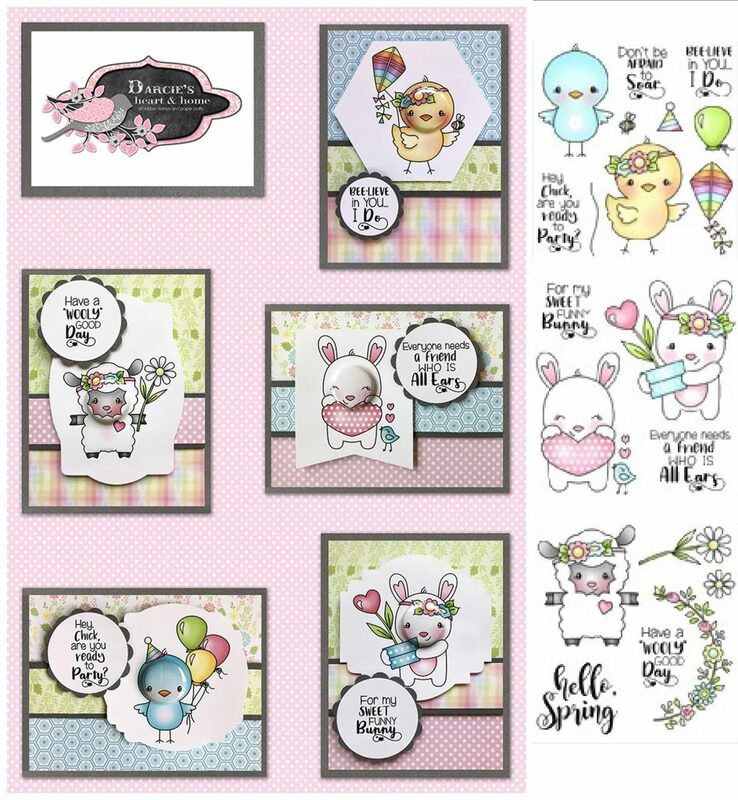 The owl is a die, and the calendar in the center is a stamp set with all the monthly configurations you could need, so you can use it year after year! Hey chick, are you ready to party? The second board is all things spring and is so incredibly CUTE! 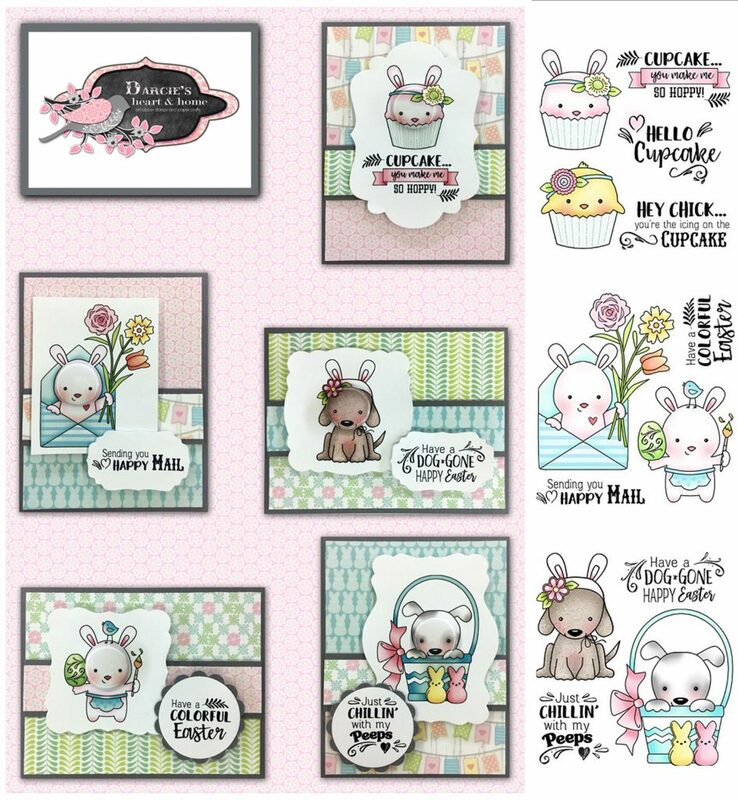 Sweet little birds, adorable bunnies and a little lamb wishing you a “wooly good day”… so much cuteness, we can hardly stand it! These are a one time order, so when they’re gone, they’re gone! Darcie’s stamps come in high quality red rubber and clear acrylic, come see them all in the shoppe before they sell out! ‘Tis the season for Christmas card making! Only 53 days to go… (we know, where does the time go???) and New Years Eve 6 days later! Brand new Christmas & New Year’s stamp sets and darling tin pins from Darcie’s Heart & Home have just arrived! 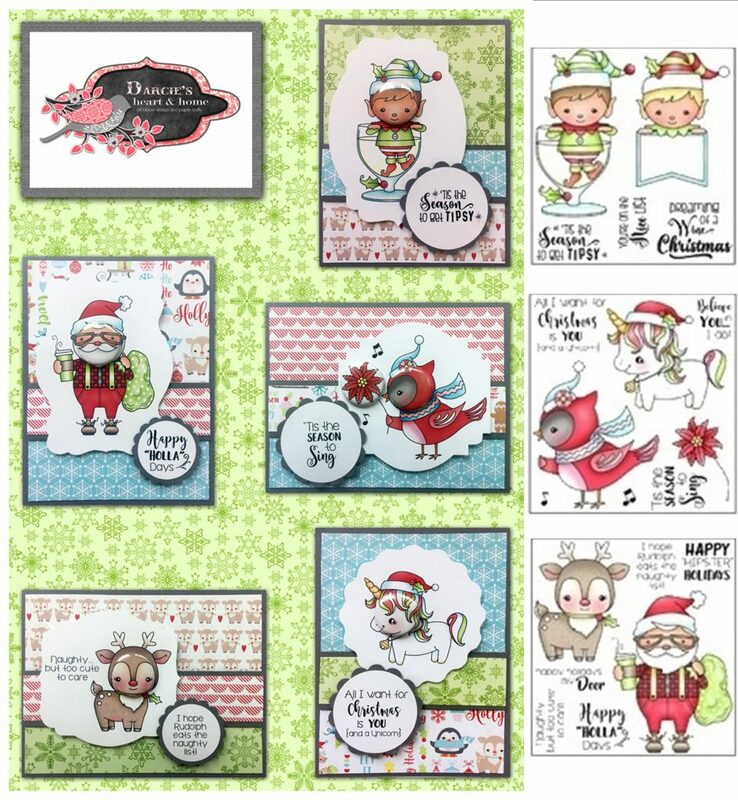 These super CUTE stamp sets are perfect for all your holiday cards! ‘Tis the season for elves, reindeer… and unicorns too! 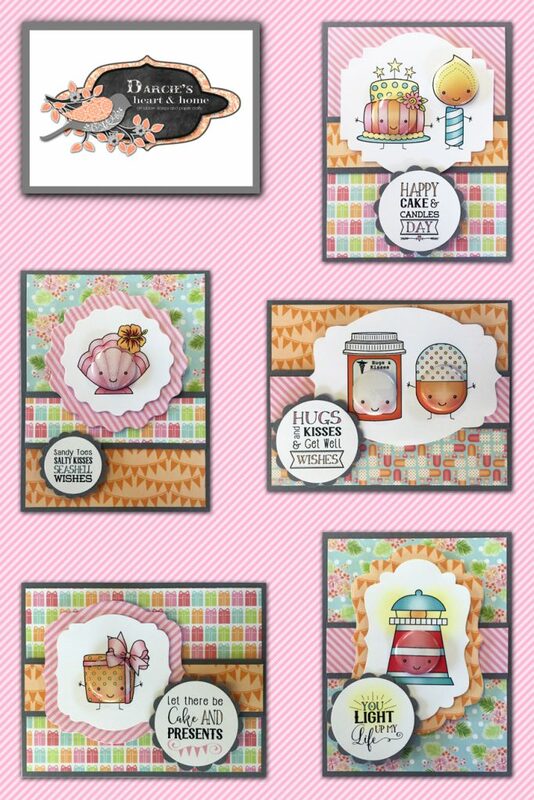  Oh so sweet & cheeky new stamp sets and darling tin pins from Darcie’s Heart & Home just arrived! Want to see these up close??? Your best option is to come into the store, but if you can’t drop everything and run right this second, our box opening video from the other day is a good runner-up… click here to watch it! Holy Guacamole! 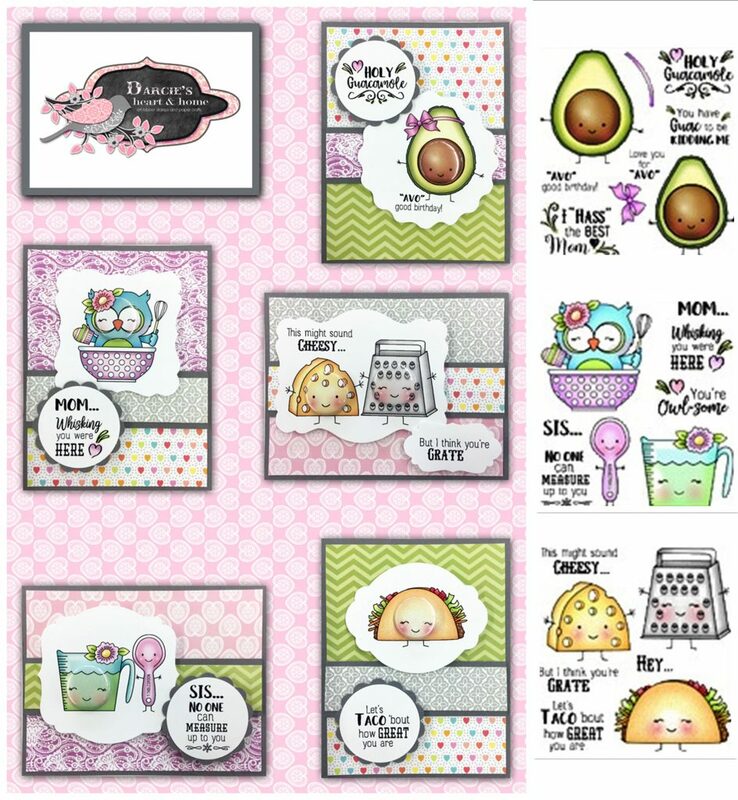 Let’s taco ’bout how great you are 🙂 Oh so sweet & cheeky new stamp sets and darling tin pins from Darcie’s Heart & Home just arrived! Just arrived! 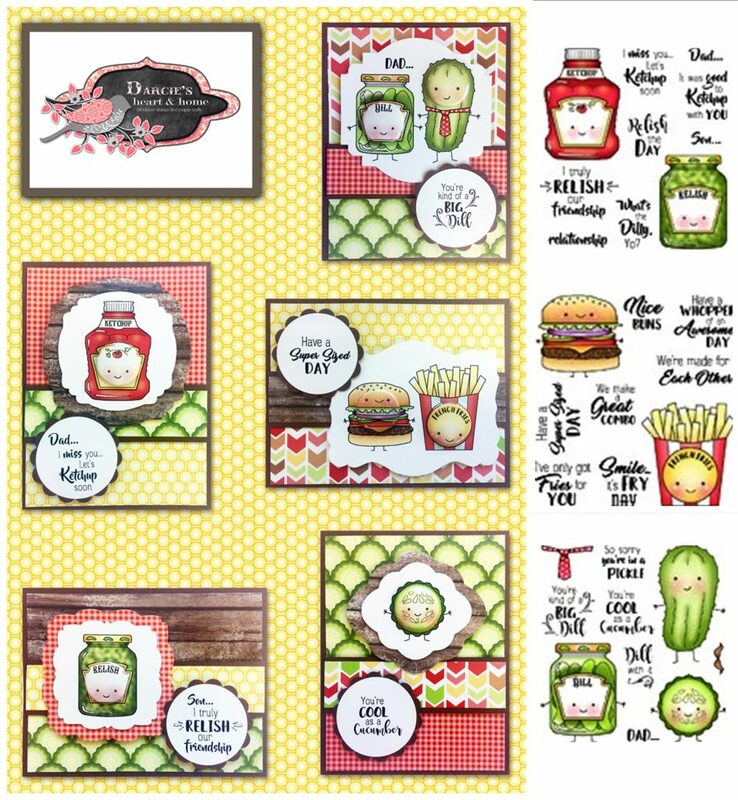 Super stinkin’ CUTE summery stamp sets from Darcie’s Heart & Home! Available in both clear acrylic and cling rubber, these sweet stamps are a one-time order. Come and pick up your favourites today… they won’t last long! 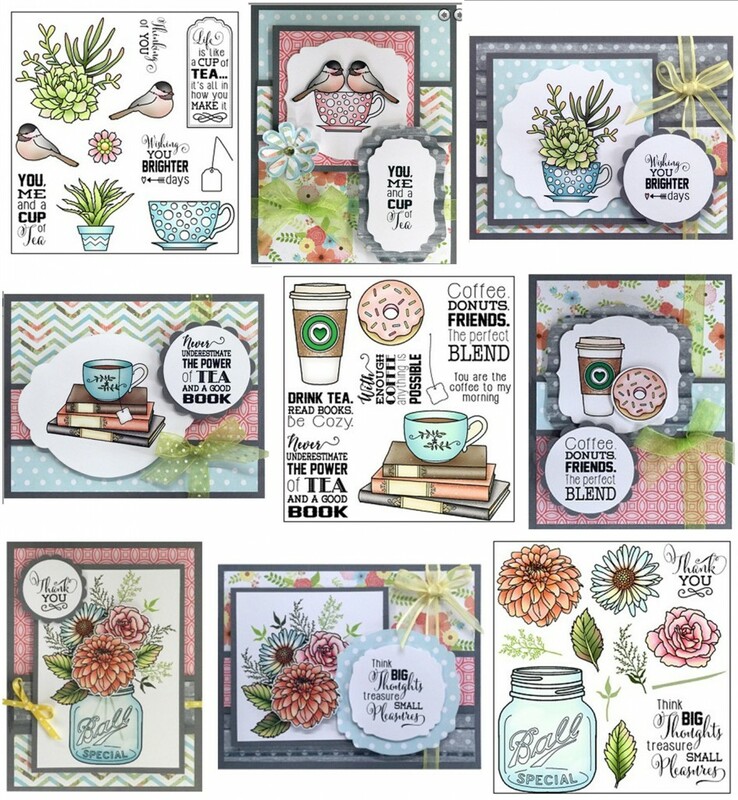 New arrivals in the shoppe from Darcie’s Heart & Home stamps! 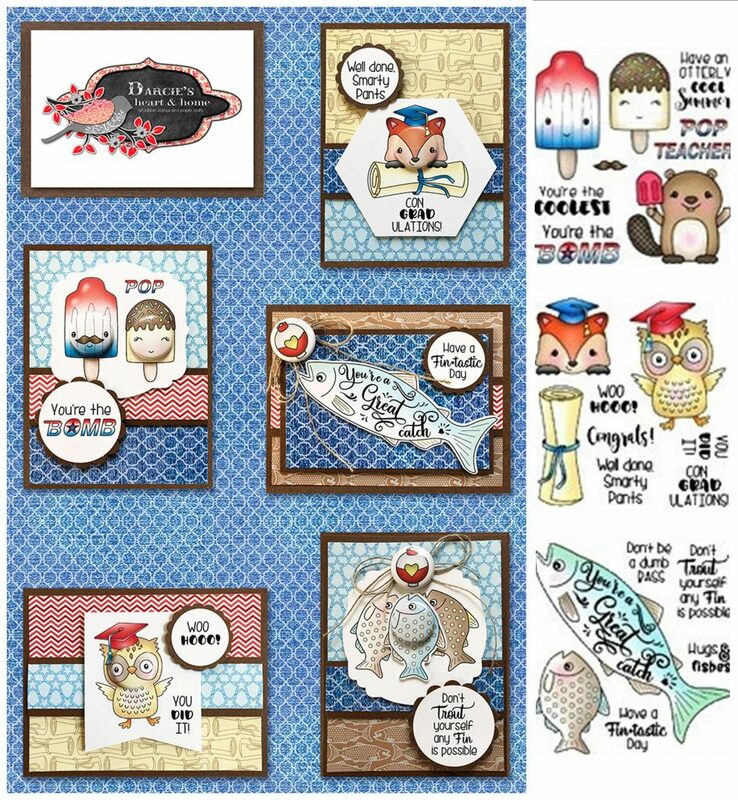 These super stinkin’ CUTE summer stamp sets are available in both red rubber cling and clear acrylic… come in and see!